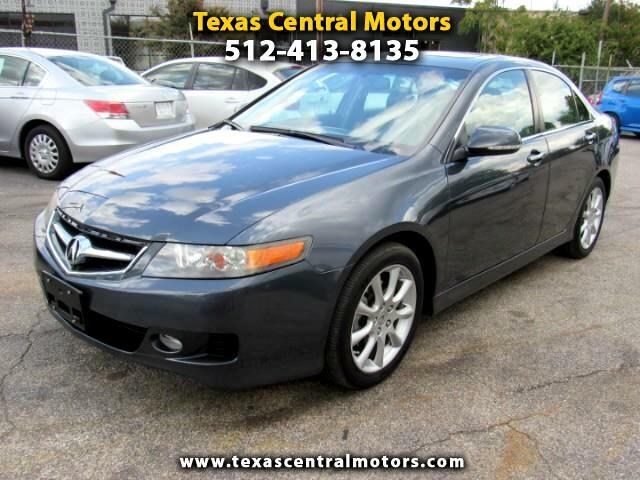 Very nice 2008 Acura TSX. Gray exterior in great condition, interior very clean. No accidents, clean carfax and clean title. Engine transmission in great shape. This vehicle is ready to go, has been fully maintained and has been fully serviced. Please stop by for a test drive whenever possible. We are open Monday-Saturday 9am-630pm. Contact Mike at 512-413-8135 for more info. Visit our website texascentralmotors.com for our entire inventory! Message: Thought you might be interested in this 2008 Acura TSX.